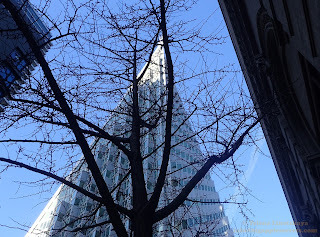 Douglas Durst's grandfather arrived from Austria Hungary penniless and eventually became a very successful real estate manager and developer founding the Durst Organization in 1915. 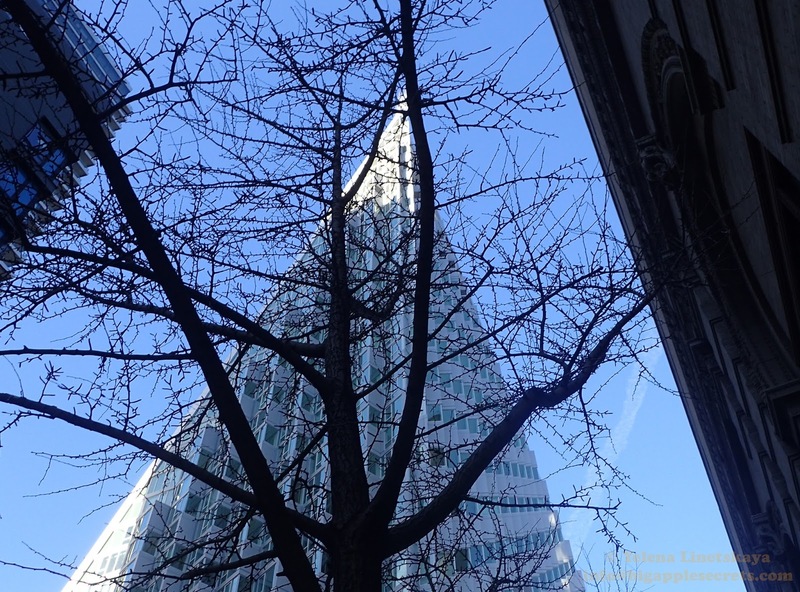 In May 2010, Douglas Durst, former Vice President Al Gore, and New York Mayor Michael Bloomberg officially opened the Bank of America Tower. It was the first high-rise commercial tower to receive LEED platinum rating in the United States. The same year Durst with his wife, Susanne, a native of Denmark visited the studio of a well known architect Bjarke Ingels. 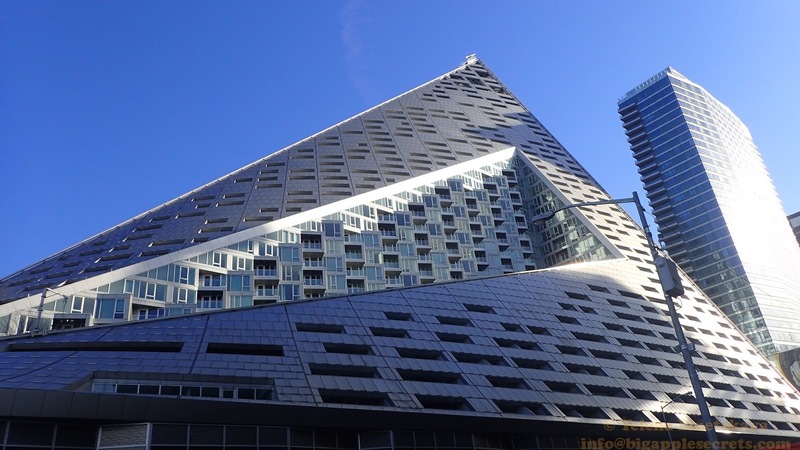 And Durst commissioned Bjarke Ingels Group (BIG) to bring a new residential typology to Manhattan. 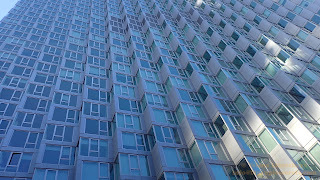 VIA 57 West (625 West 57th Street ) was finished in 2016. According to The New York Times, the name was chosen "because the southbound West Side Highway slopes down as drivers enter the city, right at the spot where the building is situated. The 800,000-square-foot behemoth with 709 units on the 32 stories mainly has rental studio and one-bedroom apartments. These types of developments are targeted toward young professionals making low six-figure salaries who aren’t quite ready to buy, Durst said. It likes almost entirely self-contained Epcot-like mini-city. 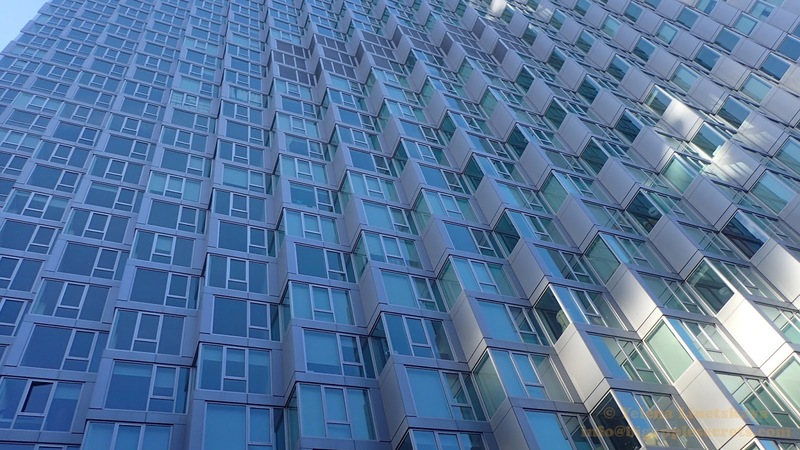 Renters will rarely have to leave the building. 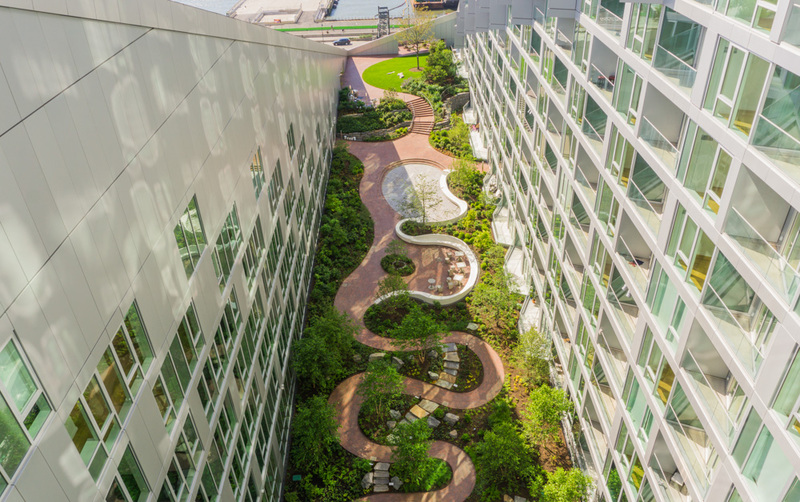 It is of Manhattan’s largest rental complexes, with a the 25,000-square-foot interior central courtyard which is inspired by the classic Copenhagen urban oasis and was designed to look like a miniature Central Park. There is also a 25-yard indoor swimming pool overlooking the Hudson River, a half-size basketball court, a gym, a golf simulator, a screening room, a nautically themed residents’ lounge and a nearly 300-car garage.